By 1988, many annuals that we grew-up with during the 70s and 80s had already reached their peak, and were experiencing a decline in sales. Many of them ceased publication during the 1990s. It seems a great shame that many youngster's today do not enjoy the thrill of receiving an annual for Christmas. I spent many any hour reading them (and colouring them in) during the festive break. Then when it was back to school time, I would take it with me to share with my friends. Maybe you did the same? This teen mag was responsible for launching the careers of many celebrities, including Tracey Ullman and Hugh Grant. In its heyday, the magazine had a circulation of around 300,000. 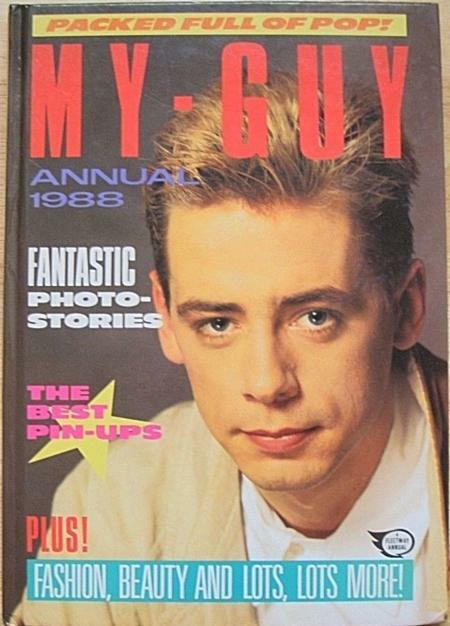 The first annual was published in 1979, and this 1988 annual featuring 80s pop star Nick Heyward on its front cover was the final one. This was also the only annual not to feature a couple on its front cover. The Topper Book was published each year from 1955 until 1994. 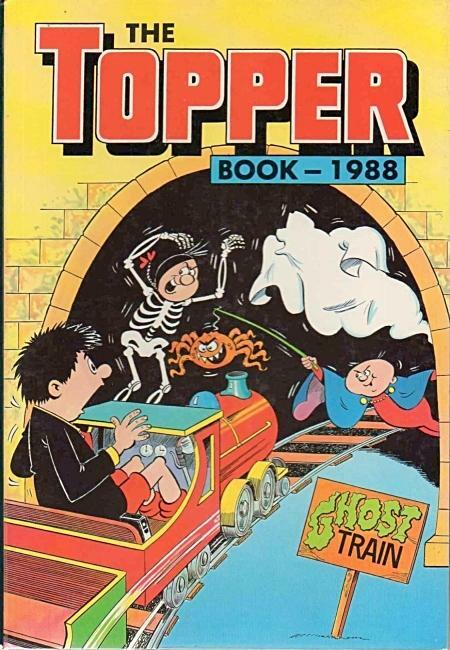 A one-off The Best of The Topper Annual was published in 2015. The comics were published from 1953 until 1990, and comic strips included Beryl the Peril, Tom and Jerry, Sir Laughalot, Mickey the Monkey and Andy Ladd, to name but a few! By 1988, this annual was starting to show its age. The first annual came out in 1964, and the last one was published in 1994. I first experienced the annual in the 1970s, and like many young boys during the 70s, I was crazy about Action Man, Airfix soldiers and anything to do with WWII. 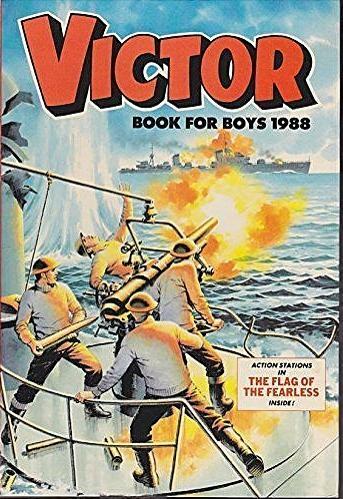 The Victor comic's generous helping of war related action comic strips were right up my street! Comic strips included Gorgeous Gus, Alf Tupper, I Flew with Braddock, Ball Boy, General Cadman, and Segeant Bob Millar of The Coldstream Guards. This popular British comic was published from October 1969 until October 1990, before merging with Buster. The annual was published from 1971 until 1994. 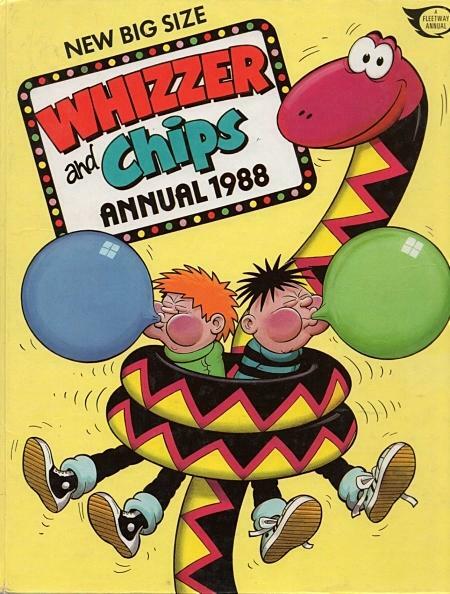 There were dozens of comic strips, but the ones I remember most are Sid's Snake (featured here on the front cover), Lazy Bones (about a boy who kept falling asleep), Strange Hill and Sweet Tooth. 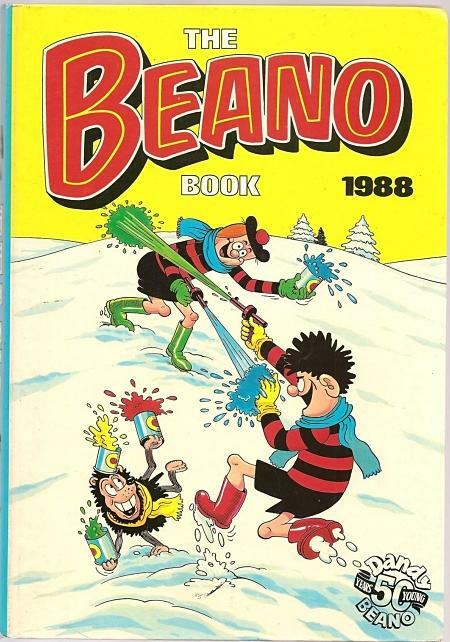 The Beano is the only annual on the page which is still being published. 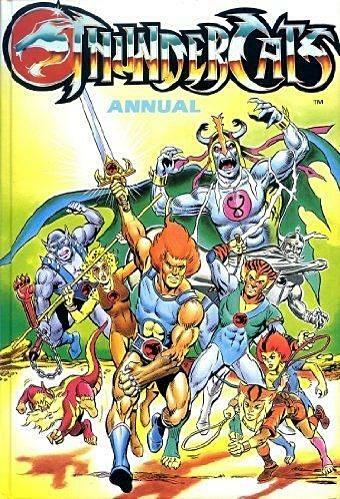 It's the most recognised comic and annual, and one that just about everyone read at some point during their childhood. This cover features three of the comic's most popular character's, Dennis the Menace and Minnie the Minx wearing the iconic red and black striped shirt, and Gnasher. The Scottish comic strip Oor Wullie appears every week in The Sunday Post. 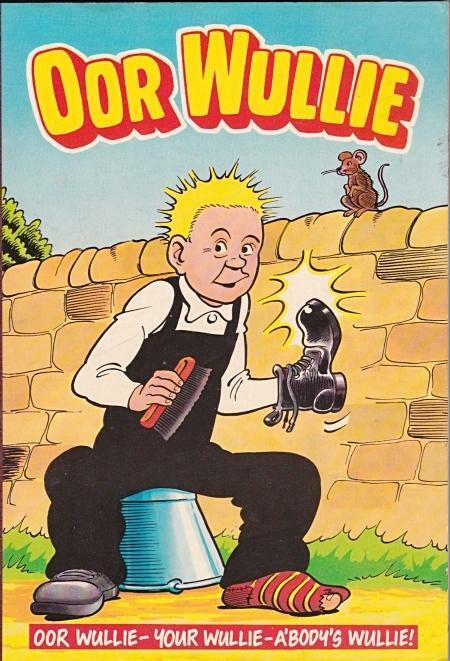 Wullie made his first appearance on 8th March 1936. Here on the front cover we see him wearing his trademark dungarees and sitting on an upturned bucket - the bucket featured on 20 annual covers. I've always wondered why his spiky hair is blonde and not ginger, though.